Last August, our nephew, (Little) Patrick, and his girlfriend, Amanda, asked if they could live with us for a few months while they saved some money in anticipation of moving from the Midwest to California. We were on the cusp of becoming empty nesters as our youngest two were going off to college, but we said yes. It was a nice opportunity for us to get to know them on a more intimate level, and we appreciated the chance to help them out for a few months. By October, (Little) Patrick was itching to go, but Amanda seemed to be a little reluctant to leave the comfort of home and family behind. Making the decision to move across country was a hard one to make. The day before Thanksgiving, he headed for the West Coast, leaving her behind. After a short while, it seems, they decided that they could not live apart so plans were made for her to join him. Last week, (Little) Patrick returned to our hometown where they packed up Amanda’s belongings and headed west – together at last. She wanted our families to meet so she asked, and we agreed, to host a Going Away Extravaganza for them the night before they left on their trek across country. 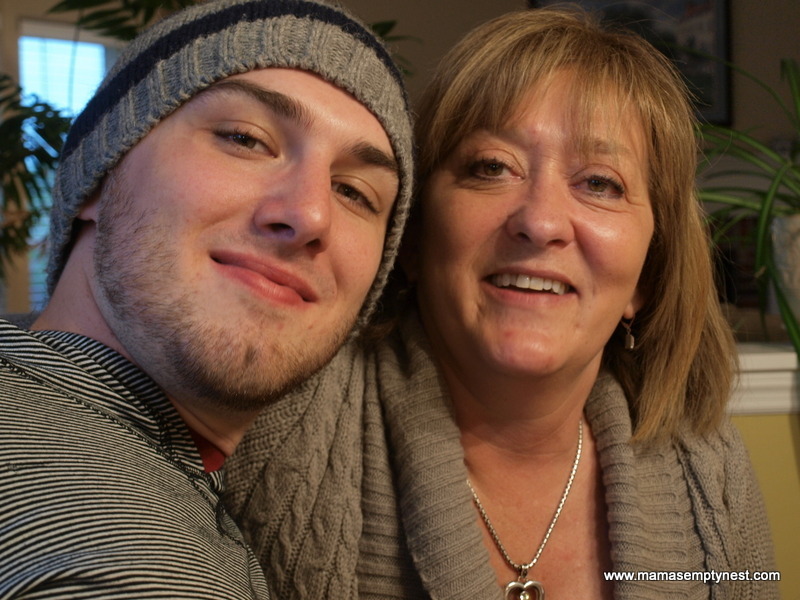 My sister, Joan, with her son, my nephew. 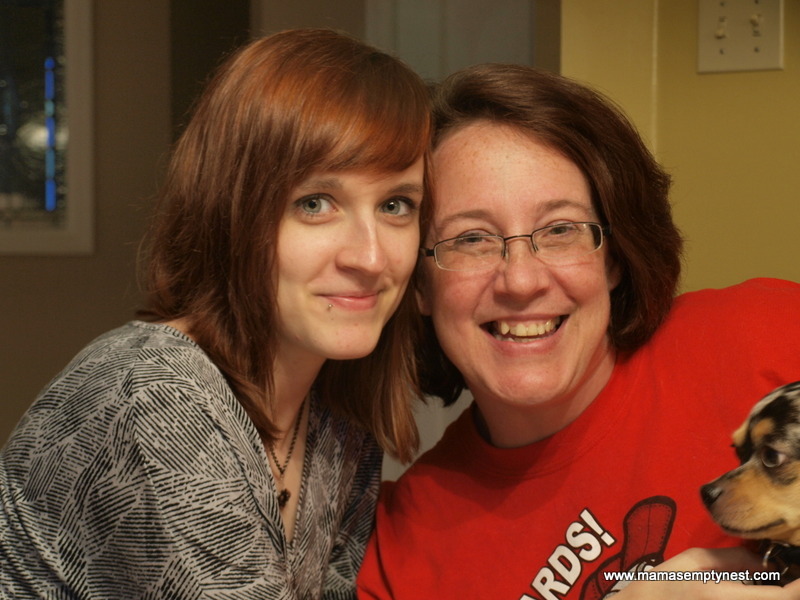 Amanda with her mom, Kathryn. They, quite obviously, adore one another. We had a fun time getting to know Amanda’s family. We ate and talked and played with my sister’s dogs, one of whom originally belonged to Amanda. Before we knew it, the night was over, and they were off to finish packing and to get a good night’s sleep before leaving the next day. We followed their trip via text message and Facebook as they traveled across Missouri, Oklahoma, Texas, New Mexico, and Arizona before they finally arrived in California. 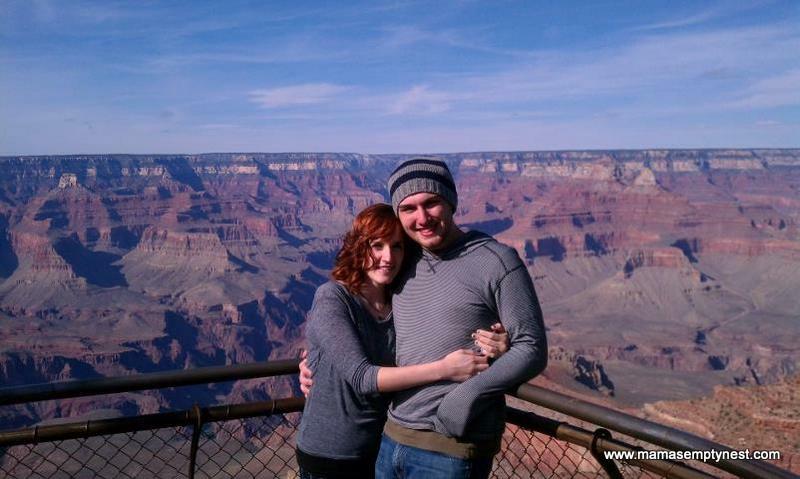 It was always in their plans to stop at The Grand Canyon along the way. (Little) Patrick’s plan also included a proposal. How romantic is that? 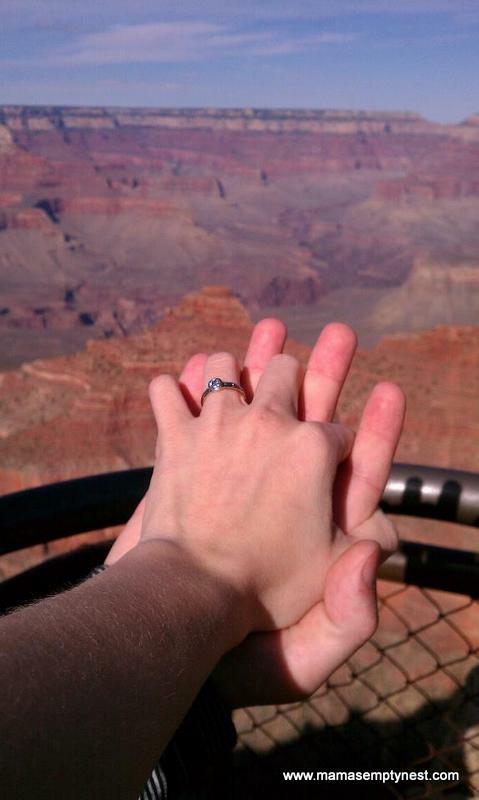 Engaged at The Grand Canyon. They made it safely to California, and have started their new life together. And we couldn’t be happier for them! That is so sweet! He did good. Glad she decided to join him. They are cute together. They are VERY cute together with similar, somewhat quirky, personalities. 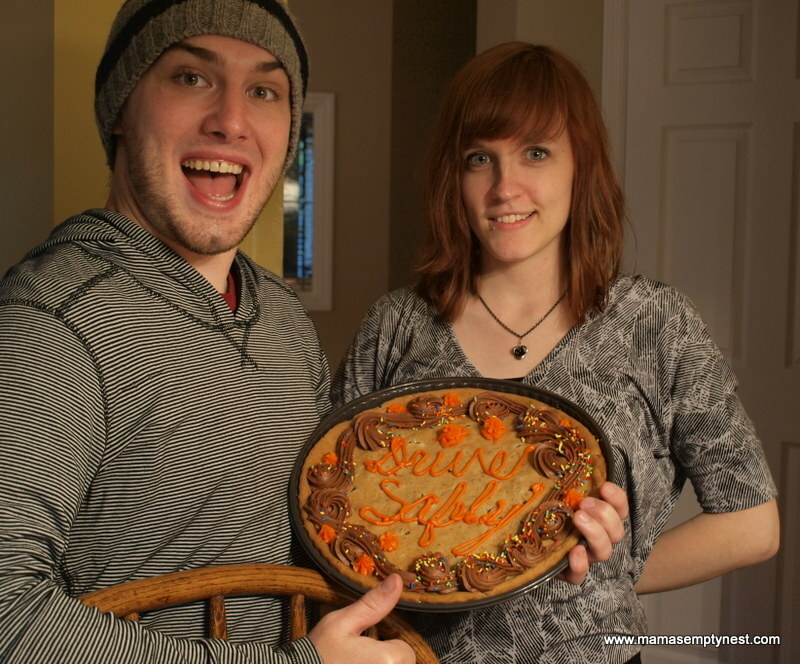 Congrats on your upcoming first date anniversary! My sister (LP’s mom) called me to say that we need to get busy because she does NOT want to be the first grandma . . .
Oh my gosh – what a day brightener – thanks for sharing Mama! Oh that IS sweet! What’s more spectacular than the Grand Canyon? Except maybe love. Yes – definitely love. Loved the pics of grown kids with their moms too. Fun. Thanks for visiting emptynestmom! I love your site, too. I love to celebrate family and our lives as empty nesters. You had to use the picture of me with stuff in my teeth! …and of course a picture of me after a full work week and last week of classes!